It’s amazing to watch the rock pools appear. 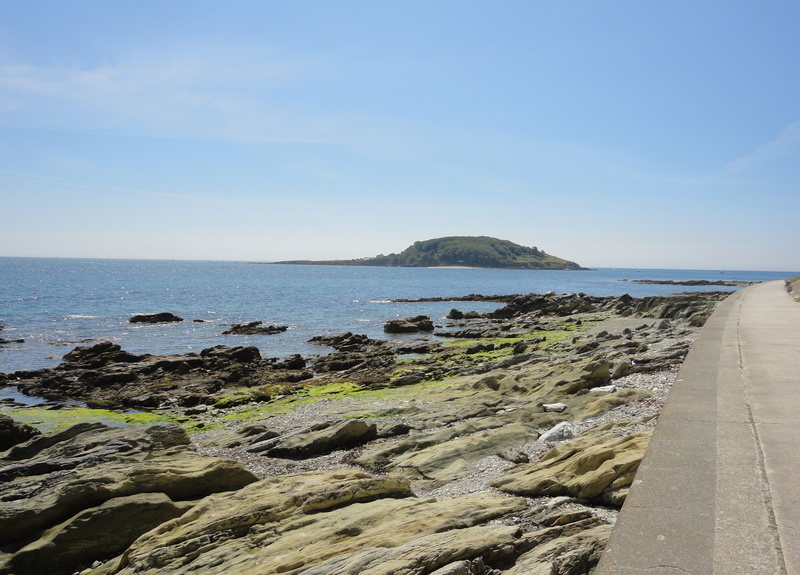 Just an hour ago, as we ate our picnic on Hannafore beach, two ladies were swimming just a hundred metres away. Now the tide has slipped back to reveal the dark, alluring rocks. An egret flies down to stalk the distant pools and oystercatchers follow, trilling loudly. ‘I want to go rockpooling. Now. Now,’ a little boy pleads, dragging on my arm. Tide and time can never move fast enough when you’re five. He doesn’t have to wait long. Soon fifteen local home educated children are gathered in the sunshine, talking about what they might see today. ‘Crabs,’ says one. ‘Starfish,’ says another. ‘Jellyfish.’ ‘Sharks.’ Some of the children laugh at this last suggestion until I point out that we may find live shark egg-cases – ‘mermaid’s purses’ – that stay attached to the seaweed for around nine months as the baby shark develops and then swims away. Now there’s no holding them back. 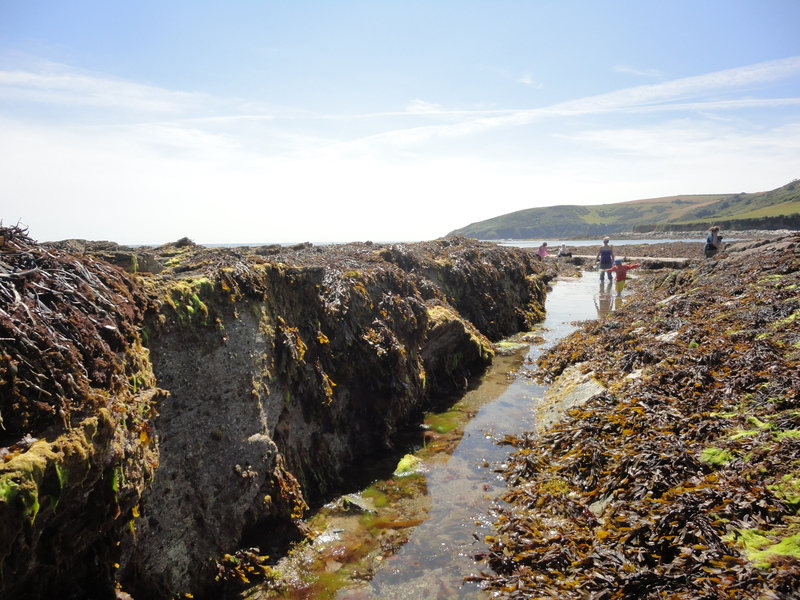 We rush down to the lower shore, set out some water-filled trays and each child sets off into the glittering rock-pools carrying a tub or bucket. Soon there are cries all around me, ‘Look what I’ve found!’ There are mother-of-pearl top shells, hermit crabs, baby fish and some feisty shore crabs. 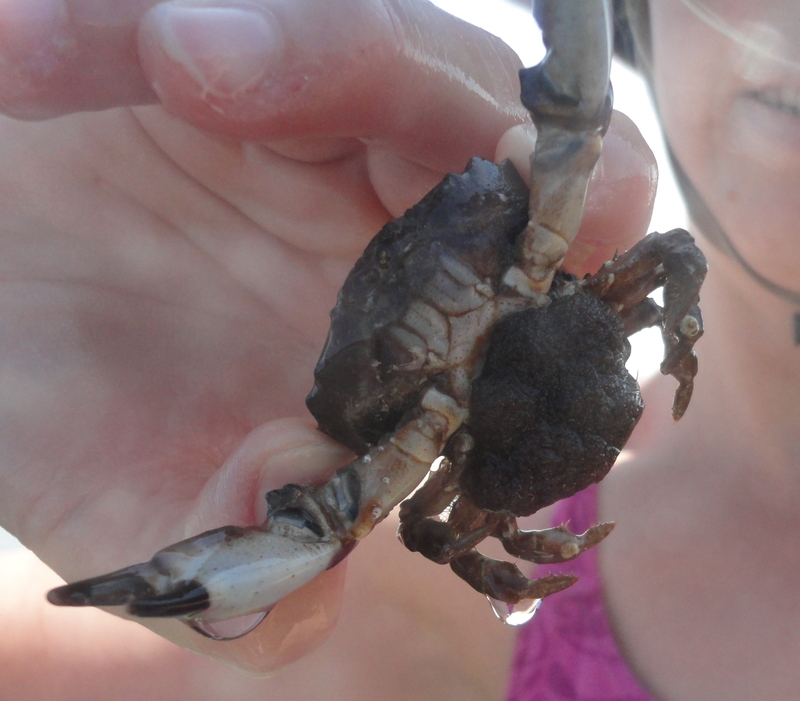 The children learn how to pick up a crab safely and to tell the males and females apart. We even find a large montagu’s crab with eggs tucked under her tail, so we put her straight back under her rock. The kids hold a starfish for the first time and giggle at the tickle of its tentacle feet. 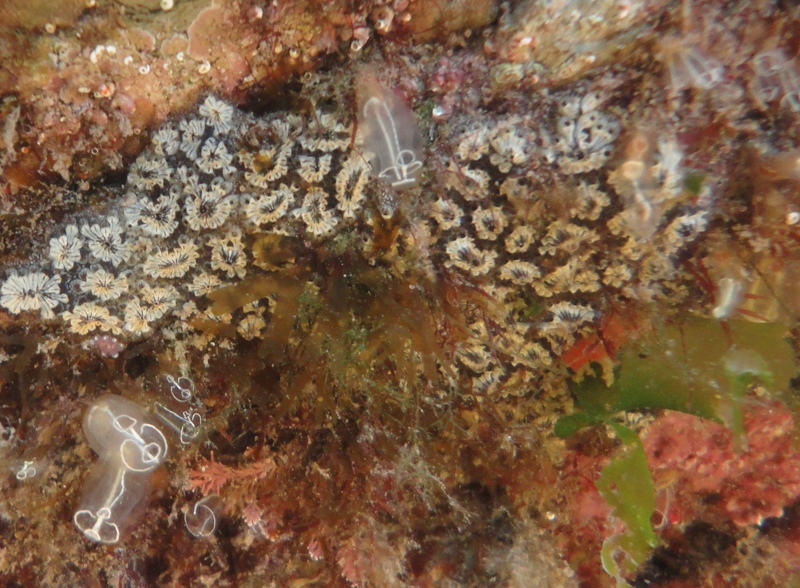 Sea squirts – Star ascidian and light bulb.